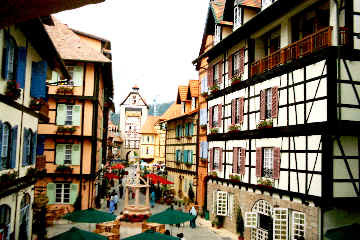 Colmar Tropicale, located in Bukit Tinggi, Pahang, is a replica of a collection of buildings from a north-eastern village in France dating back to the 16th Century. It's just like a picture postcard. 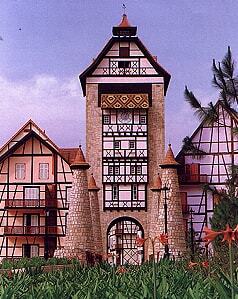 The French themed resort was opened in July 2000. 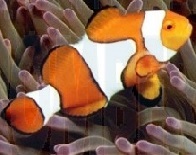 It's surrounded by lush tropical forest land. Just RM 16 for adults and RM 8 for children below twelve, you can enjoy the various entertainment at Colmar Tropicale. A clock tower at the entrance welcomes the visitors. You need to walk up (and down) curvy concrete staircases to view the entire development. The theme hotel is made up of eight blocks of architectural wonder, each with its unique style, from its colourful roof tiles to cobblestone ground. The hotel has several outlets, where you can dine in the French way. Central to the village is Colmar Square where the aroma of the blooms will tantalise your senses. There are fountains and park benches in the square for relaxation after a hard day's work browsing in the 17 theme shops, or should one wish to take a breather from participating in the various activities. The drawbridge reminiscent of ancient castles, clock tower with an original cuckoo bird clock, and the viewing tower complements the ambience. Live bands and snake performances entertain the visitors on a stage. A clown juggles balls and pins, rides on his cycle, hops around playing tricks and acting merry. Authentic French food is served from sidewalk cafes and restaurants. The tables are placed strategically around the square so you can enjoy a meal or glass of wine whilst taking in the ambience. No expense was spared to import building materials like cobblestones and roof tiles from France. A 10km road connecting to the KL-Karak highway was built to transport these materials. The children can play with the adorable furry beings at The Rabbit Park and you can discover Japanese authenticity at the Japanese Village. The Japanese Village is located at 3,500 feet above sea level. The first of its kind outside Japan. 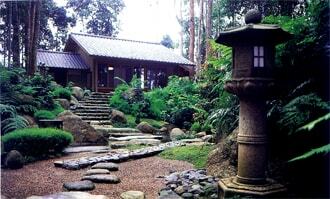 It encompasses a Japanese Tea House, Sakura and Ume Tatami Suites, and a Botanical Garden. An hour long authentic Japanese Tea Ceremony conducted by Kimono clad ladies can be observed at the Japanese Tea House located within a Japanese garden with mini waterfalls and a pond of multi-coloured Koi. 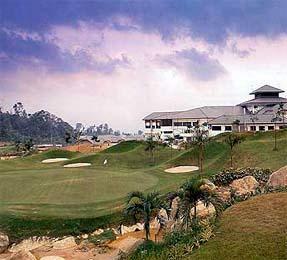 The Bukit Tinggi Golf & Country Club with an 18-hole championship golf course offers conference facilities. Sports and recreational facilities such as a 12-lane bowling alley, snooker room, badminton, squash and basketball courts, a gymnasium and swimming pools. This French-themed resort, situated in Bukit Tinggi, rests upon 80-acres of verdant forestland. The hotel itself is positioned 2,700 feet above sea level, adding to the uniqueness of the location. 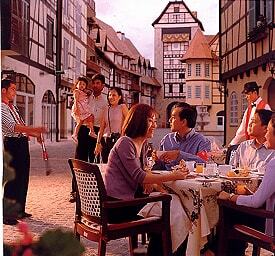 The hotel borrows a distinctive design theme from the 16th century Colmar Village in Alsace, France, and has maintained an authentic European feel since its inception. 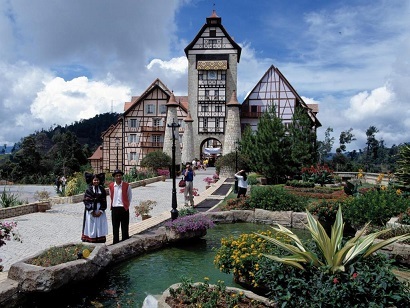 About 40 to 45 minutes away from Kuala Lumpur, guests visiting can enjoy a host of unique amenities such as the castle drawbridge, a swan filled moat, and a picturesque cuckoo clock tower that mimics the Riquewhir Tower in France. The resort compound boasts a vast selection of dining areas that feature the finest authentic cuisine as well as a distinctive compilation of international dishes. 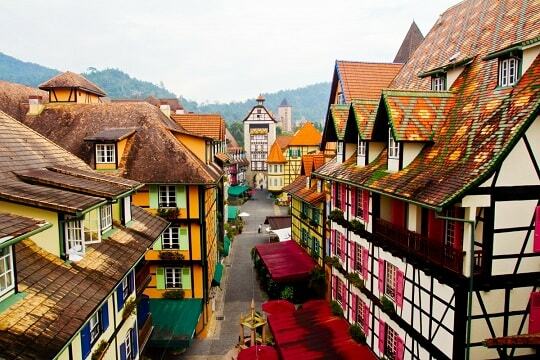 Colmar Tropicale � Berjaya Hills is the perfect venue for guests who look for a distinctive atmosphere, comfortable accommodation, and an amazing selection of on-site facilities. This property is ideally situated 2,700 feet above sea level. Guests can explore The Aborigine Settlement and Deer Land Park in the vicinity. 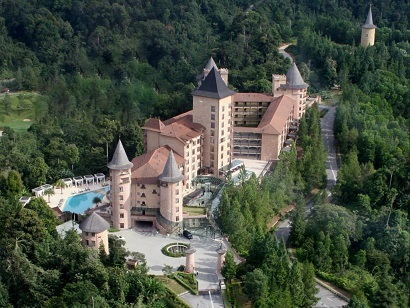 The Chateau Spa & Organic Wellness Resort and its organic and luxury features is located ideally within close proximity to Genting Highlands, Kuala Gendah Elephant Sanctuary, Bentong Hot Spring, and Chamang Waterfall. The elegantly furnished guestrooms are comfortable and invite the crisp air from the surrounding hills. Modern conveniences include cable TV, an in-room safe, and a kitchenette. Guests can dine at the on-site restaurant which serves a variety of delicious cuisines. Guests can enjoy the La Sante Organic Spa or visit the wellness center. The hotel echoes the best in hotel hospitality in paradise. The Chateau Spa & Organic Wellness Resort offers modern facilities and warm hospitality for travelers.